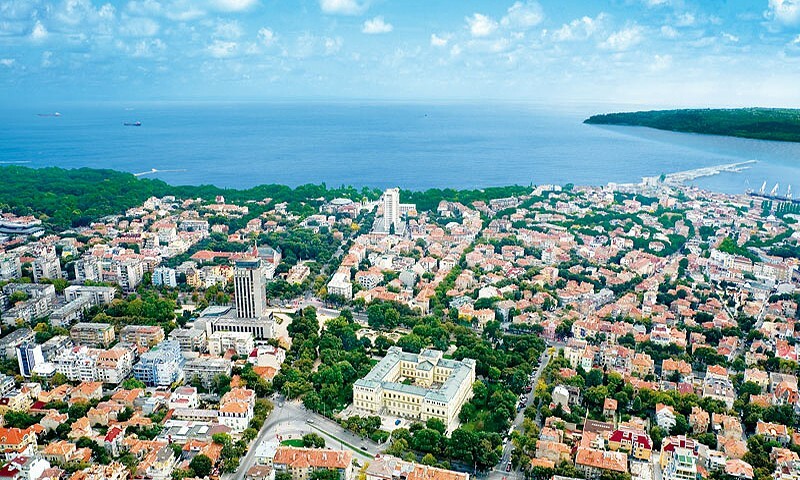 Varna - the third largest city after Sofia and Plovdiv, the biggest Bulgarian seaport, is the gem of the Bulgarian Black sea coast. The city is surrounded by lots of gardens, vineyards and delicious groves. The earliest archaeological finds on the territory of the town refer to the Varna Necropolis, uncovered on the northern bank of Lake Varna. The oldest golden treasure in the world was discovered at the site. In the investigated 280 graves there have been uncovered 3,010 golden objects of overall weight of more than 6 kg, dated to the second half of the 5th millennium BC. The Archaeological Museum (1888) exhibits the artefacts from the oldest high developed civilization in Europe (6th-5th millennia BC), the biggest collection of Mesolithic finds in South-Eastern Europe, and Varna Necropolis with one of the oldest presently known golden jewelry (5th millennium BC). Strengthened with fortified walls in the 4th century BC, later, after being conquered by Mark Lukulus' legions (1st century BC - 4th century AD), Odessos became a Roman regional centre of great importance. As an intermediary in the multiform exchange between the two worlds - Mediterranean and Thracian, the antique Odessos became a center for development of culture and fine arts. Some early sculptures from the 5th century BC hint that Odessos art developed in parallel to the great Mediterranean art. One of those masterpieces is the head of Apollo (from Odessos). 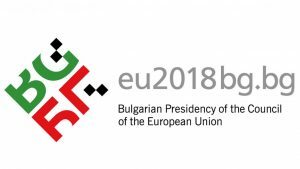 Towards the end of the 8th century Varna is included in the territory of the Bulgarian state. After the conversion to Christianity (864) it becomes a centre of the newly adopted creed. 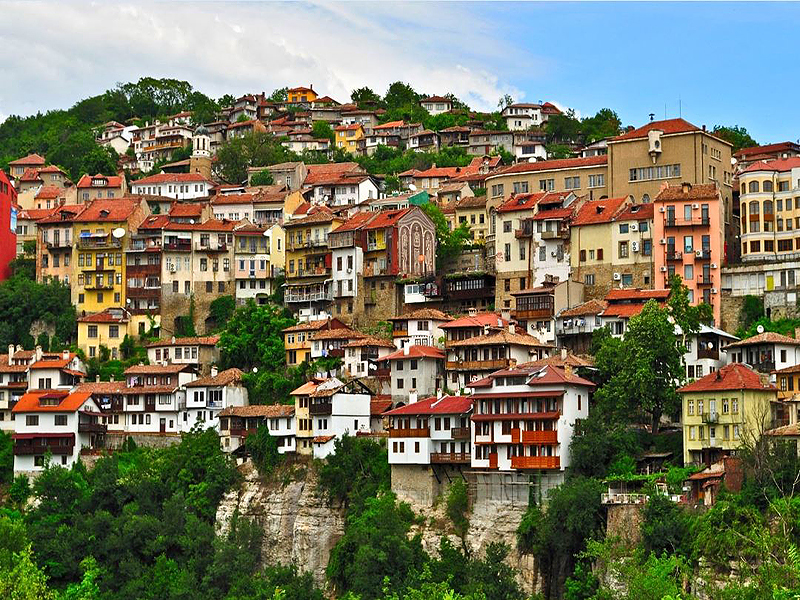 Towards 971 the town falls under Byzantine rule, in 1201 it is liberated by tsar Kaloyan's troops. In the 13th - 14th centuries it is the strongest fortress on the western Black sea coast and a significant commercial port used by ships from Venice and Genoa. In 1389 Varna falls under Ottoman rule. In 1878 the Russians liberate the town. 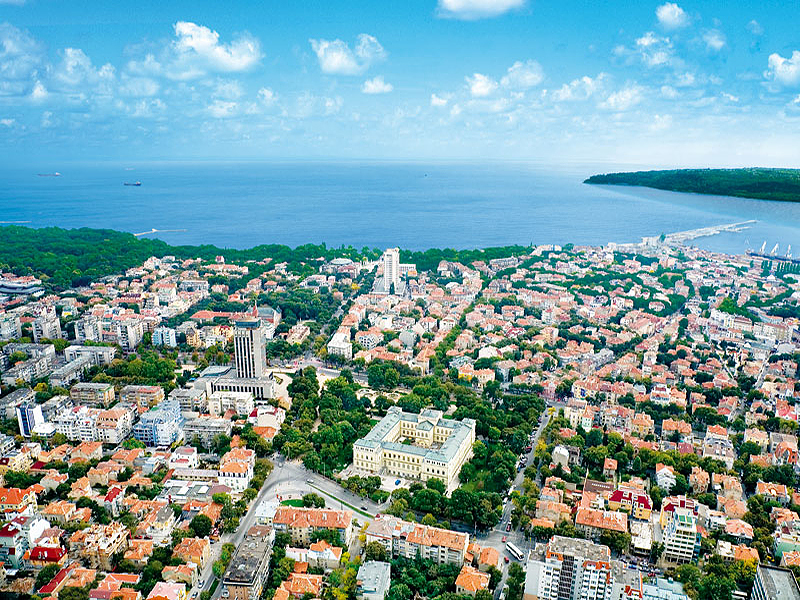 The architectural outline of Varna is accomplished at the end of 19th century and the beginning of 20th century. Ancient, mediaeval, renaissance and modern cultures mingle and coexist through the city. 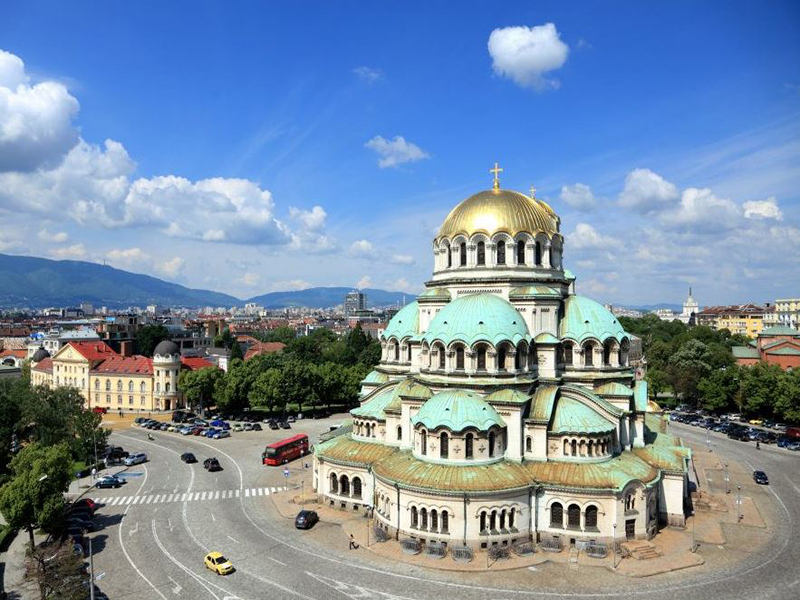 The older architecture is represented by the Clock Tower in the city center and the Church of the Holy Virgin (1602) with an iconostasis (1896) by a master artist belonging to the School of Debar, and valuable icons, the oldest dating back to 1646. The building of Varna Theatre is emblematic for the city – masterpiece of architecture and art (1921). 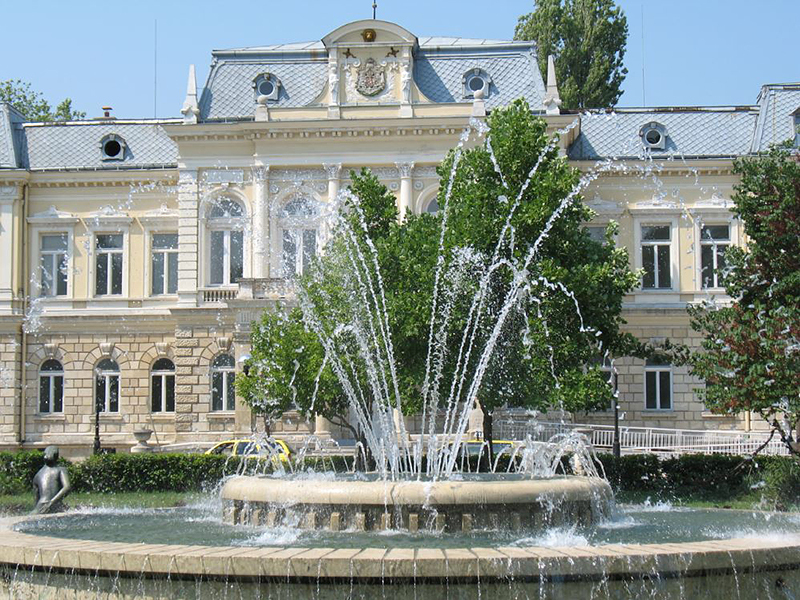 Varna lies on the same latitude of the famous Atlantic resorts Bayonne and Biarritz in France. The Sea Garden is the oldest public park in Bulgaria, also said to be the largest landscaped park in the Balkans. The Sundial is an emblematic attraction in Varna, located at the entrance to the Sea Garden. The unique shape of a flying swan captivates the visitors walking around. During the holiday season, in July and August, the sunshine allows 10-11 hours of sunbathing. There is nothing of the cold Baltic wind or the summer Riviera heat. The Roman thermae (2nd - 3rd century AD) - the forth-largest Roman baths in Europe and the largest in Bulgaria and on the Balkan Peninsula, the Roman Thermae are situated right in the center of Varna, which under the Roman Empire was known as Odessus. With an area of 7,000 sq.m., the Roman Thermae feature the whole range of facilities including numerous rooms, typical for such buildings – apodyterium (changing room), frigidarium (cold pool), tepidarium (warm pool) and a caldarium (hot pool) with 3 swimming pools - a rather large piece of ancient Rome right in the middle of the modern town. The Cathedral of the Assumption (1886) – the second in scale after St. Alexander Nevski Cathedral in Sofia. The view from the belfry towards the city is splendid, but you have to overcome the 133 stairs of the narrow caracole. The cathedral is the first memorial, erected in honor of the Liberation from Ottoman yoke. Modern Byzantine architecture, spacious interior, wood-carved iconostasis by masters belonging to the School of Debar, stained glass. Painted in 1949-1950, the Cathedral of the Assumption is declared Monument of culture. Euxinograd Palace - a late 19th-century Bulgarian ex-royal summer palace and park, located 8 km away from Varna. The palace was built on designs by a Viennese architect in tune with the style of the French renaissance palaces. It has a high penthouse part with metal casing of the roof and the clock tower. The Royal Residence is separated from the entrance by a lovely garden. Dutch, French and palm greenhouses provide safe shelter for flowers during winters. Building the park started in 1891 on designs by German architects and landscapers. The vineyards are equally impressive. Four white grape varieties are grown on the estate. The Balchik Palace (the Quiet Nest Palace) was constructed in 1937 for the needs of Queen maria of Romania as a summer residence. The residence was designed by Italian architects in 1924. It is formed with beautiful threshold terraces along the steep sea shore, through which the water from two springs flows along special stone channels and pours into water mirrors and waterfalls. The park along the sea shore was developed by Swiss gardeners. The Botanical Garden was established in the place accommodating 2000 plant spices. Christian and Muslim symbols intertwine in wells and gardens, and the flowers and the decorative pots for the gardens were bought from various parts of the world. The Rammed Stones - formed some 50 million years ago, and one of the most incredible natural phenomena in Bulgaria, located 18 km away from Varna. The natural stone pillars - some reaching 6 m high, some up to 12 m across at their base are known as “The Petrified Forest”. Some columns resemble animals, while the other remind you of frozen fountains or cascades. Several rows of columns create the impression that each is made up of two cones balancing on their sharp points.